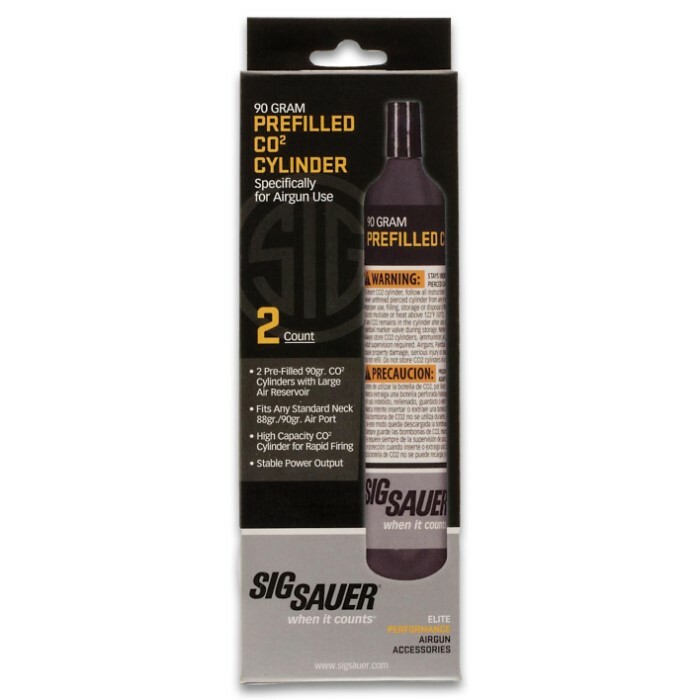 Sig Sauer Prefilled 90 Gram CO2 Cylinder Two-Pack - Airgun Power, Compact And Lightweight, High-Quality Gas | BUDK.com - Knives & Swords At The Lowest Prices! 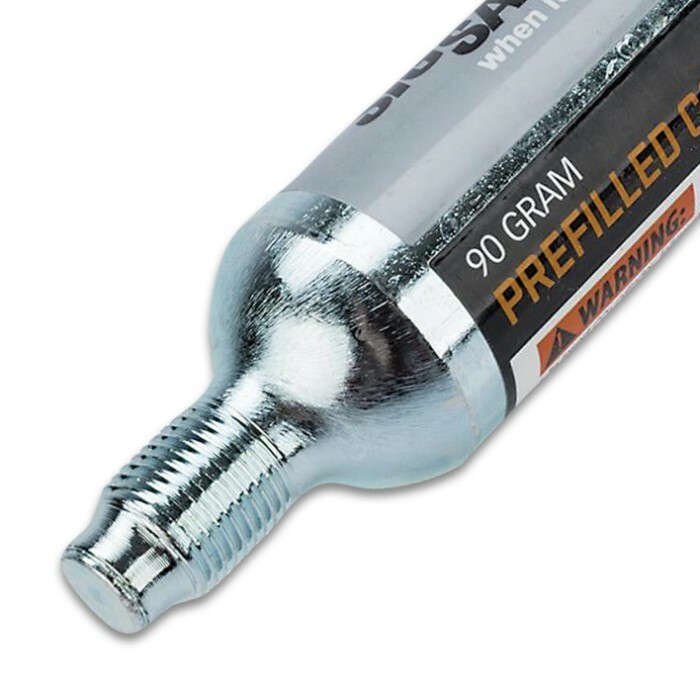 Precision-built air pistols and air rifles depend on quality ammunition and fuel to perform up to their full potential. 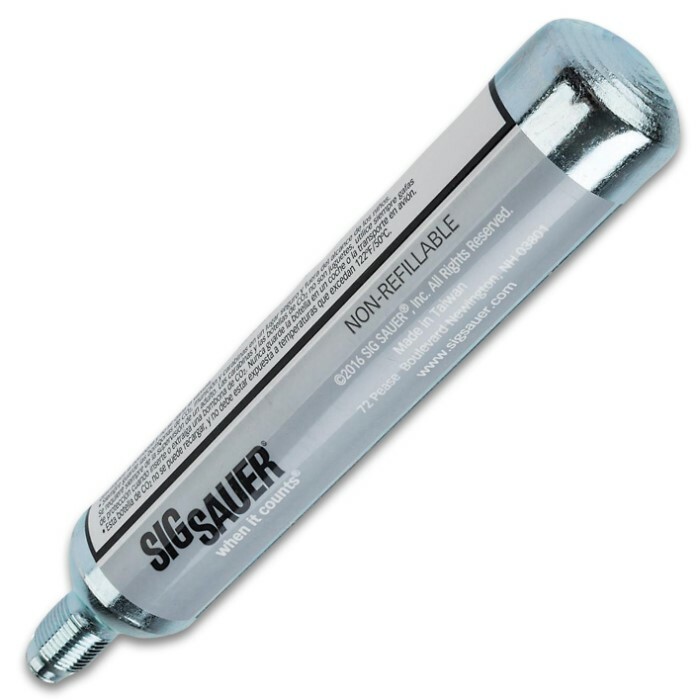 A higher-quality, cleaner gas in a superior-engineered cylinder can influence the lifetime and performance of any airgun. 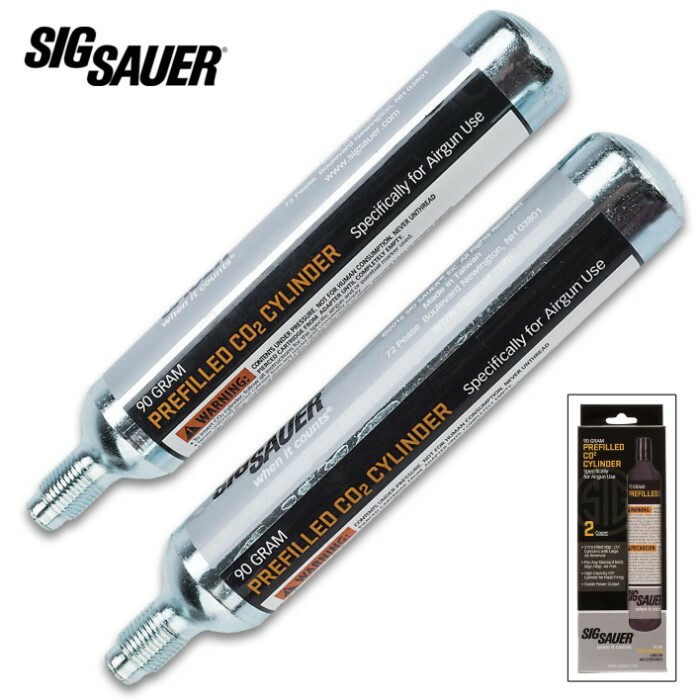 Investing in these premium Sig Sauer Prefilled CO2 Cylinders is a simple way to ensure longer-lasting, precision performance. They fit most airguns designed for use with 88g/90g CO2 cylinders and have a compact, lightweight design. Each of the two superior engineered, large air reservoir CO2 cartridges provide a stable power output for rapid firing.